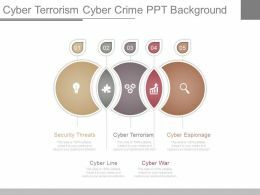 "Microsoft PowerPoint Template and Background with a webstie screen with the words online crime as a warning"
Presenting pptx cyber terrorism cyber crime ppt background. This is a cyber terrorism cyber crime ppt background. This is a five stage process. The stages in this process are security threats, cyber terrorism, cyber espionage, cyber war, cyber line. 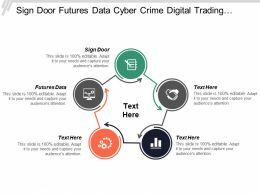 "Microsoft PowerPoint Template and Background with an open door with hands holding guns surrounded by words like cyber-crime stolen"